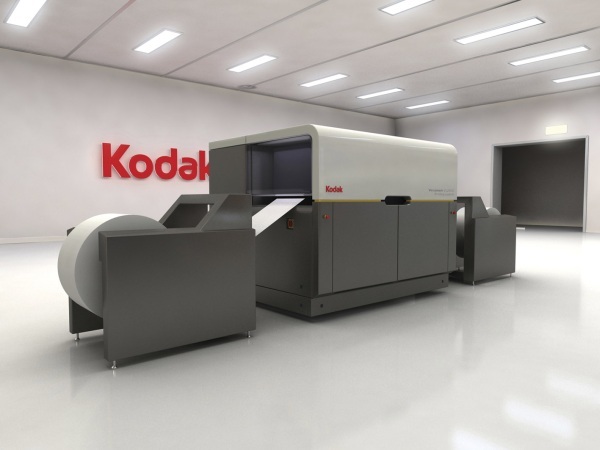 ROCHESTER, N.Y., July 4—The KODAK VERSAMARK VL-Series Printing System continues to exceed customer expectations with the announcement today of a series of print quality, reliability, and operator maintenance enhancements that will improve customer productivity. In accordance with the Kodak digital printing portfolio philosophy of protecting customer capital investment, these improvements are backward compatible and are available for existing customers through an upgrade plan. VERSAMARK VL-Series Printing Systems produce high quality, high value process color with full page coverage using either water-based pigment or dye-based inks. Designed to handle virtually any variable data printing application including transactional documents, direct mail and other commercial applications, the VERSAMARK VL-Series Systems utilize drop-on-demand inkjet technology with configurations ranging from 246 fpm (75 mpm) to 492 fpm (150 mpm) and 600 x 360 dpi to over 600 x 600 dpi. An in-line MICR imprinting solution is also available that uses the same proven drop-on-demand technology. “The VL-Series is a workhorse that has helped many of our customers expand into new higher value applications with affordable color output,” explained Vince Ferraro, Vice President of Marketing, Digital Print Solutions, Kodak. “These enhancements will enable in-plant printers, transactional service bureaus, and newspaper publishers to maintain peak efficiency while delivering the quality their clients demand and expect. •	Improved uptime and component lifetime achieved through advanced operator training for preventative maintenance. With more than 40 years of inkjet innovation, Kodak has one of the largest installed bases of color rollfed inkjet devices worldwide. Applications for VERSAMARK VL-Series Systems include direct mail, transactional/transpromo print, forms replacement and remote newspaper production.